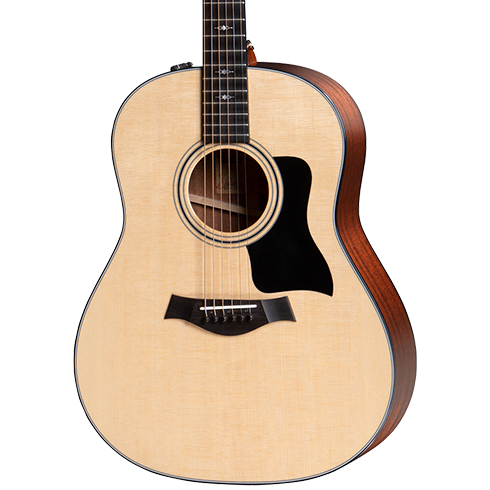 Taylor’s versatile new round-shoulder dreadnought brings a whole new sonic personality to the dreadnought category and the Taylor line. 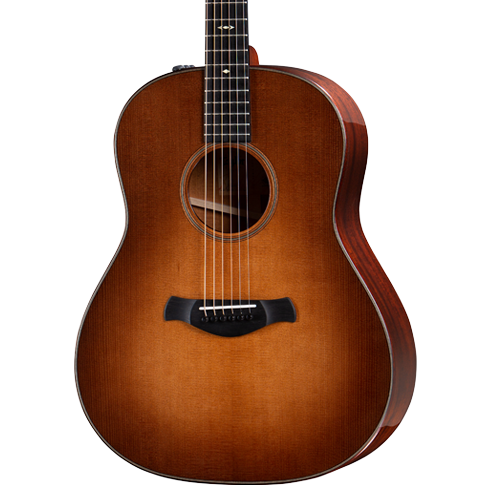 With its warm, seasoned sound and clear low-end power, it’s a Taylor like you’ve never heard before. Until now, Taylor has been known for a modern take on acoustic tone—a vibrant sound with precise and well-defined individual notes. But they like other acoustic flavors too. Drawing inspiration from traditional acoustic music, master guitar designer Andy Powers leveraged the tone-shaping control of their award-winning V-Class bracing to design the Grand Pacific. Broad, overlapping notes blend into a unified harmony to create a warm and inviting sound. You’ll be inspired in a whole new way. Their Builder’s Edition models showcase player-friendly features not found in their standard models. With the 717, the pairing of rosewood and torrefied spruce, together with their Grand Pacific body contours and V-Class bracing, take the natural harmonic complexity of rosewood to another level. Every note resonates with thick, rich power. A new compound-carve neck profile with rolled fretboard edges naturally complements your hand position for smooth playing comfort. Mahogany’s strong fundamental focus and midrange presence, together with the played-in sound of a torrefied spruce top, add up to an inspiring mix of warmth, clarity and tonal balance on this Builder’s Edition Grand Pacific. V-Class bracing enhances mahogany’s dry, woody character, while the refined contouring of the neck, body edges, and bridge serves up a player-friendly feel that will coax expressive acoustic tone from the hands of any style of musician. For players craving the tonal warmth and power of the Grand Pacific in its most accessible form, the sapele/spruce 317e delivers. Sapele’s voice occupies the sweet spot between rosewood’s rich overtones and mahogany’s dry, woody sound. With their V-Class bracing, this Grand Pacific makes a dynamic and versatile guitar that’s perfect for performance with vocals or other musicians. 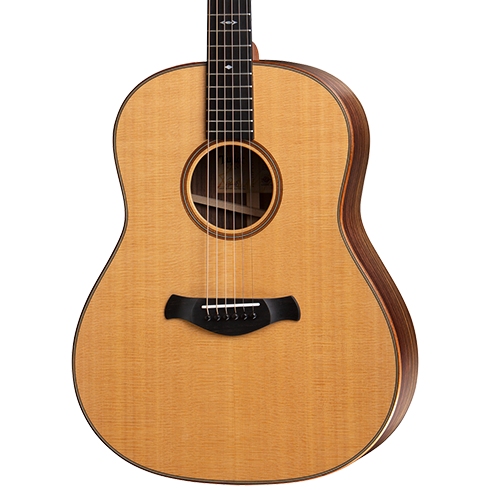 Until now, the Grand Auditorium sound has largely defined Taylor acoustic tone. Here’s how the Grand Pacific builds on their history of innovation to create something entirely new. When Andy Powers began working on the Grand Pacific, he discovered a problem with the traditional dreadnought sound that inspired a truly functional, musical-sounding design.